The tongue adjacent to the foot is a combination of 3D mesh and a permanently cushio-ning, reticulated and perforated foam. 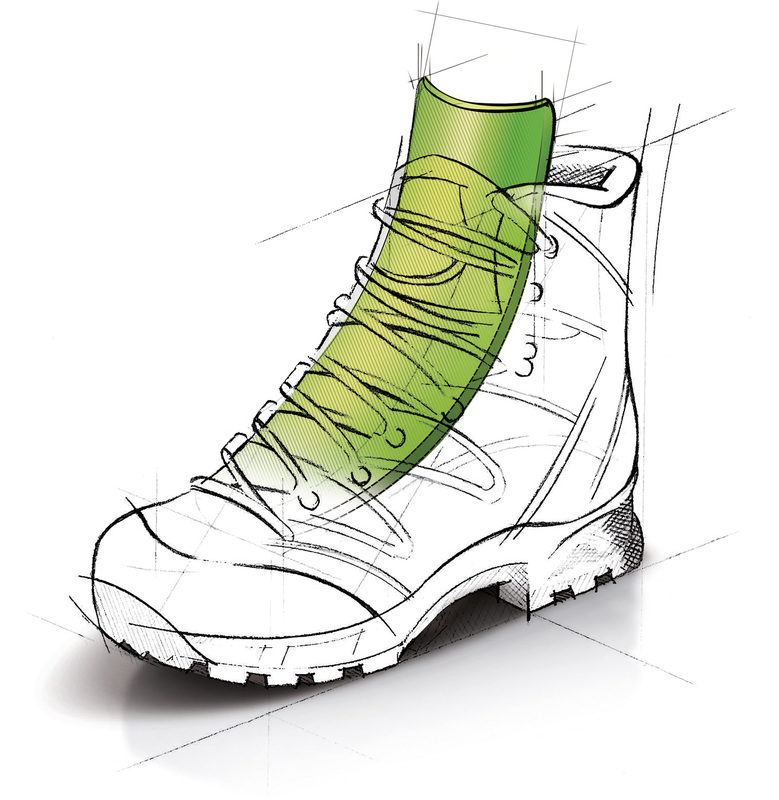 The Air Revolution® tongue extends beyond the top of the boot and facilitates air circulation. It is simply fixed at certain points on the front of the foot and instep in order to support air circulation. 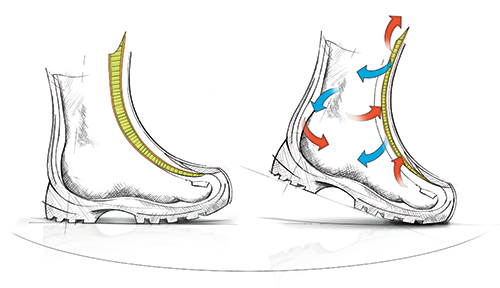 The Air Revolution<sup>®</sup> tongue extends beyond the top of the boot and facilitates air circulation.